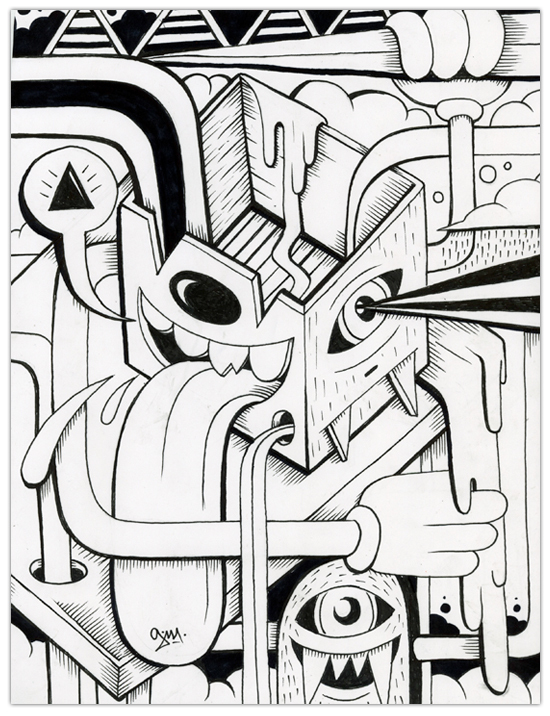 Below is the piece I created for the DRINK and DOODLE event at ABV GALLERY last night. I took a less structured approach to the sketch to give it more of a doodle look and feel. All the artist get a blank piece of paper and draw for 2-3 hours, work gets framed and goes on sale at the end of the evening. The drawing will be on display at ABV for the next month. Stop by and check out all the pieces from the event.